It’s our Buy More, Save More Sale. 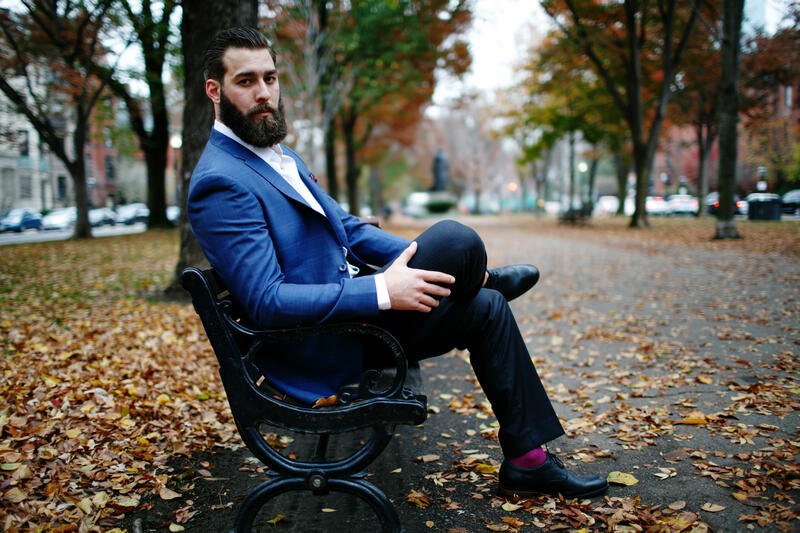 With each fall blazer that you purchase, you’ll receive $50.00 store credit, up to $150.00. Want to apply it to a new shirt or new pair of pants? You can even apply it towards the blazer. Go for it. We know you’ll make it work. Sale period runs from October 25, 2017 to November 6, 2017. Blazer sale applies to our B level (super 120s) blazers and up. Our A level blazers (super 110s) do not apply. 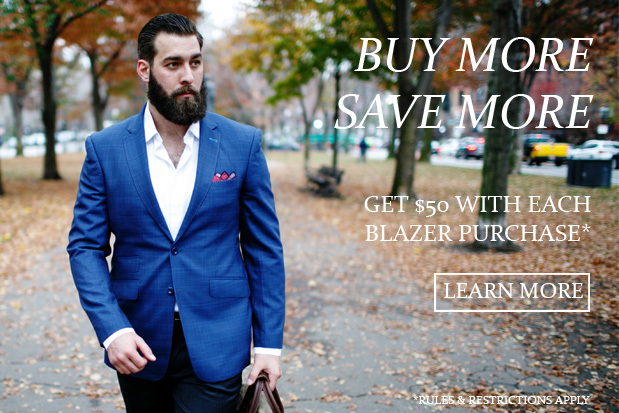 For each blazer purchase that you make, you will receive $50.00 in store credit with a maximum credit of $150.00. Sale period: 10/26/2017 to 11/6/2017.